Real photo postcard of the National Forest Inn, ca. 1920. 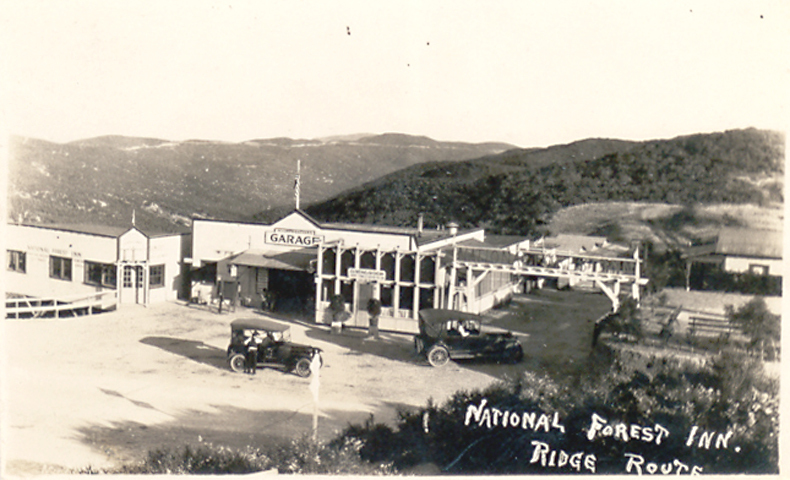 The National Forest Inn was located on U.S. Forest land along the Ridge Route, about 12.2 miles north of Castaic. It was built in 1916 by Alfred R. Courtemanche, a French Canadian immigrant who later built the French Village in Newhall. According to Harrison Scott (2002), the inn offered food, rest and gasoline, the resort being run for a time by Frank Lambert and William Rose and their wives, while Joe W. Palmer ran the garage. 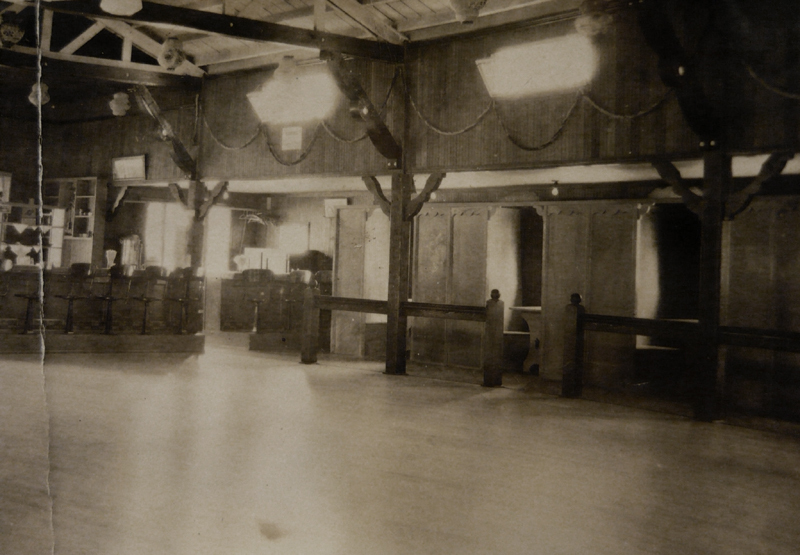 A fire started in the garage on Friday, Oct. 14, 1932, and the whole place burned down. It was not rebuilt because the next year, the Ridge Route alternate was to bypass the location. 1. Some sources say Oct. 20, but contemporary news coverage confirms the 14th. News reports blame a smoldering cigarette in a washroom.